Just arrived into the office…. It examines six late Victorian writers – Dante Gabriel Rossetti, Walter Pater, Vernon Lee, Eugene Lee-Hamilton, Theodore Watts-Dunton and Thomas Hardy – to reveal their commitment to a Romantic visionary tradition which surfaces towards the end of the nineteenth century in response to the threat of a growing materialism. 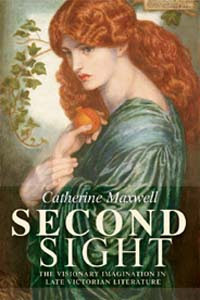 Offering detailed and imaginative readings of both poetry and prose, Second Sight shows the different ways in which late Victorian writers move beyond materiality, though without losing a commitment to it, to explore the mysterious relation between the seen and the unseen. For more information, please click on the title above.